To schedule Greg Freeman for your next gospel music event or inquire about speaking engagements, click here. I was born in 1974, and have spent my entire life residing just outside of Walhalla, South Carolina, a small foothills town situated about forty-five minutes from Greenville and two hours from Atlanta. As diverse as my interests, Southern Edition has become a culmination of all that characterizes the American South. Through this publication, I hope to expound on the region's culture, history, commerce, agriculture, music, art, architecture, travel, gardening and food. And I'm thrilled that a variety of individuals, ranging from best-selling authors and Grammy Award-winning musicians to college professors and high school students, are enjoying my writing. In addition to publishing Southern Edition, I have written for the African American National Biography (which is published by Oxford University Press and Harvard University's W.E.B. DuBois Institute); The New Georgia Encyclopedia (the groundbreaking, award-winning publication of the Georgia Humanities Council and University of Georgia Press); The Encyclopedia of Arkansas History & Culture (published by the Central Arkansas Library System); GospelMusicUpdate.com (an online publication of the Judy Nelon Group in Nashville); The American Gardener; Carolina Gardener; the Draft Horse Journal; The Belgian Review; Asbarez Armenian News; and Grakan Tert (an Armenian publication devoted to literature). I also served on the Board of Directors of the American Daffodil Society as editor of its quarterly publication, The Daffodil Journal, from June 2014 until March 2016. 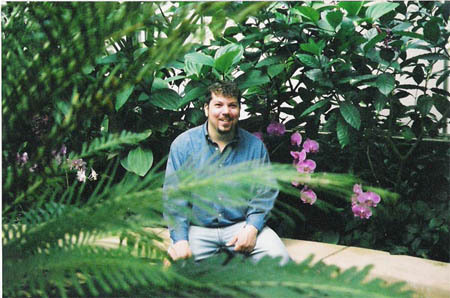 I am currently the publisher/editor of Greg Freeman's Garden Chronicle. Books containing chapters/entries by me include: Gender and the Modern Sherlock Holmes: Essays on Film and Television Adaptations Since 2009 (2015); Race in American Film: Voices and Visions That Shaped a Nation (2017); and The British Empire: A Historical Encyclopedia (2018). 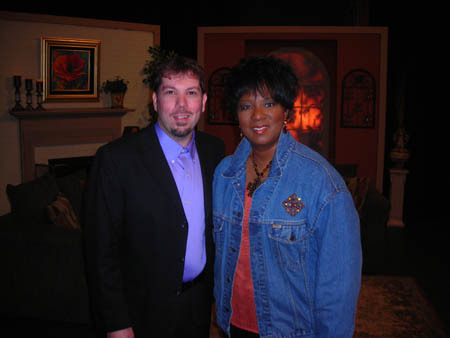 As a singer and songwriter, I have co-written songs with Dove Award winner Babbie Mason and multiple Emmy winner Cheryl Rogers (a producer for the Grammy-winning record, Tribute: The Songs of Andraé Crouch), and performed on Babbie Mason's television talkshow, Babbie's House, on six different occasions, and made multiple appearances on Atlanta Live (WATC TV 57, Atlanta) and Nite Line (WGGS TV 16, Greenville). I am a member of the Nashville-based Gospel Music Association. A gospel EP release, Blessing and Blessing, released on December 28, 2018. An avid gardener, I grow various perennial flowers, herbs and vegetables. My collection includes a few botanical gems like Cyclamen hederifolium ex. 'Silver Leaf' and Wisteria frutescens 'Amethyst Falls', an introduction from my neighbor, Bill Head. But I am most enthusiastic about my daffodils. A member of the American Daffodil Society, The Daffodil Society (UK), the Georgia Daffodil Society, the East Tennessee Daffodil Society and the Kentucky Daffodil and Bulb Society, I have bulbs from three different continents, including some exciting seedlings from renowned hybridists Stephen J. Vinisky (USA), Dr. Harold Koopowitz (USA) and Brian Duncan (Northern Ireland). I have exhibited winning blooms at the Atlanta, Knoxville and Nashville shows, including Bests in Show with 'Hot Gossip' in Atlanta (2011), 'Terminator' in Knoxville (2013) and 'Stoke Charity' in Knoxville (2019). Additionally, I have had class winners at ADS National shows and taken major ADS ribbons, including the Best Intermediate, Rose and Miniature Rose Ribbons (for best seedlings or homebred flowers), Lavender Ribbon (best collection of five miniatures), White Ribbon (best three stems) and the Marie Bozievich Ribbon (best collection of twelve daffodils from at least four divisions such as trumpets, doubles and jonquils). Horses have been an obsession of mine since I was a teenager. 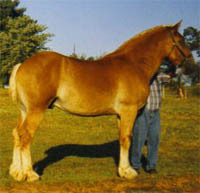 A life member of the Belgian Draft Horse Corporation of America, the organization devoted to registering and promoting Belgian horses, I have owned a limited number of Belgians over the years, including Congressman, Jr., the Grand Champion stallion at the 1977 Indiana State Fair (one of the nation's most competitive draft horse shows). I now own only a single mare: Cowden's Coleddie Sasha. She is from the breeding program of my long-time friends, Robert & Elizabeth Cowden (Pittsburgh-based owners and breeders of champion Belgians). My other interests include the visual arts (creating and collecting), reading, watching classic movies, exploring small towns and touring southern historical sites. Memberships: Poplar Springs Baptist Church; Gospel Music Association; Belgian Draft Horse Corporation of America; American Daffodil Society; The Daffodil Society (UK); Georgia Daffodil Society; East Tennessee Daffodil Society; Kentucky Daffodil and Bulb Society. Board Positions: Traditions Cultural Arts, Inc., Atlanta, Georgia, USA, 2016-present. 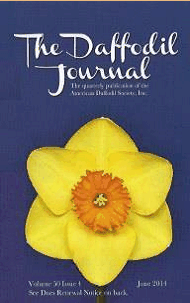 Past Board Positions: American Daffodil Society, Editor, The Daffodil Journal, 2014-2016. For the authoritative New Georgia Encyclopedia, I have contributed entries on Atlanta's historic Ebenezer Baptist Church and the 200-year-old publication Grier's Almanac as well as biographies on country star Travis Tritt; black gospel diva Dottie Peoples; contemporary Christian singer Babbie Mason; blues singers Francine Reed, Precious Bryant and Ida Cox; and southern gospel legends Hovie Lister and Lee Roy Abernathy. April 1, 2019 - An episode of Babbie Mason's television talkshow, Babbie's House, featuring me as a guest, aired in the Atlanta area today. The show also airs nationally on the National Religious Broadcasters (NRB) network. Babbie and I sang a duet on her great song, "The House That Love Built," and I performed two songs from my project, Blessing and Blessing, including Bill Gaither's "If It Keeps Gettin' Better" and mine and Babbie's song, "Nothing Can Separate Me." March 16, 2019 - My daffodils fared well once again, this time at the East Tennessee Daffodil Society Show in Knoxville. Four of the five contenders for Best in Show were my entries. 'Stoke Charity', a flower from my Marie Bozievich Ribbon-winning collection won the Gold Ribbon (Best in Show). 'Jeanie Driver from the same collection won Best Intermediate (neither a miniature nor a standard). One of my seedlings won the Rose Ribbon. And one or two other entries won their classes. March 9, 2019 - At the Georgia Daffodil Society Show in Roswell, my daffodil entries did very well. I won major American Daffodil Society awards, including the Rose Ribbon (for best seedling or homebred entry), White Ribbon (best three standard stems), Lavender Ribbon (given to best collection of five miniatures) and the Marie Bozievich Ribbon (awarded to the best collection of twelve daffodils from at least four divisions such as trumpets, doubles, jonquils, etc.). My seedling was a strong contender for Best in Show, but was beaten by a stunning specimen of 'Hot Gossip' exhibited by the late John Lipscomb's daughter, Dr. Susan Goodman. January 22, 2019 - I was the featured artist on Atlanta Live, the flagship program at WATC TV 57. Hosting the show were Dr. Erol and Sandra Onal! January 16, 2019 - Babbie Mason interviewed me and featured "Nothing Can Separate Me (from Your Love)" in an episode of Babbie's House on the Radio on BabbieMasonRadio.com. The song, included on my project, Blessing and Blessing, was co-written with Babbie earlier in 2018. December 28, 2018 - My gospel music EP, Blessing and Blessing, released. It contains five songs, including one featuring Grammy-nominated Babbie Mason and another one featuring Gospel Music Hall of Fame inductee Calvin Newton. October 15, 2018 - Toronto-based gospel group The Chitans performed "So Good to Know" at the National Quartet Convention in Sevierville, Tennessee. The title cut of their new recording project, the song was written by Babbie Mason and myself. It was so exciting to see video of the group singing this song. It was a real crowd pleasing performance! June 2018 - Goleta, California-based publisher ABC CLIO Greenwood released the two-volume compendium, The British Emprie: A Historical Encyclopedia (Dr. Mark Doyle, editor), which contains one entry by me regarding the British Music Hall. May/June 2018 - The American Gardener magazine, published by the American Horticultural Society, included my piece on the native honeysuckle selection, Lonicera sempervirens 'Blanche Sandman', in its "Plant in the Spotlight" column. March 24, 2018 - At the East Tennessee Daffodil Society Show in Maryville, Tennessee, I exhibited 13 entries, taking nine firsts and four seconds. My winners included a first place vase of three with 'Stoke Charity', as well as single stem firsts with 'Beryl' (pre-1907), 'Intrigue', 'Forged Gold' and a Delia Bankhead tazetta seedling (which was a contender for Best Miniature in Show). I also exhibited the Best Seedling with my homebred jonquil, a cross between Narcissus jonquilla and 'Bright Sequins'. March 19, 2018 - I was a guest speaker at the March meeting of the Gwinnett County Master Gardeners Association. My presentation, "A Century of Daffodil Hybridizing: Using Advancements in Color, Form and Size to Advantage," was well-received by the suburban Atlanta gardeners in attendance. March 10, 2018 - The American Daffodil Society Southeast Regional Show was hosted by the Georgia Daffodil Society at the Chattahoochee Nature Center in Roswell. For this event, I exhibited and judged, winning several blue ribbons, and taking ADS ribbons for Best Intermediate with 'Jeanie Driver" and the Bozievich Collection, my first such win, which must contain twelve standard daffodil cultivars/species from at least four Royal Horticultural Society divisions (i.e. - Trumpet, Jonquil, Double). July 7, 2017 - Race in American Film: Voices and Visions That Shaped a Nation (Dr. Daniel Bernardi & Michael Green, eds.) was published by ABC CLIO Greenwood. The three-volume encyclopedia includes my entries on St. Louis Blues, Giant, Driving Miss Daisy, The Color Purple, Elia Kazan and Tyler Perry. November 16, 2016 - Once again in 2016, I was a guest on Babbie Mason's talkshow, Babbie's House. In my interview, we discussed gospel music history and black gospel's influence upon my music. I performed "Sunlight and Shadows" and "God Be With You." April 11, 2016 - In a nationally distributed news story about presidential politics, my comments were featured in an Associated Press article by Julie Pace and Emily Swanson, titled "AP-GfK Poll: On range of issues, Clinton has edge over Trump." March 26, 2016 - At the American Daffodil Society Southeast Regional Show hosted by the East Tennessee Daffodil Society in Knoxville, I had a winning vase of three 'Hot Gossip', a first place vase of three DuBose jonquil seedlings, a first place vase of three 'Actaea' and first place single stems with 'Hot Gossip', 'Sammy Girl', 'Mesa Verde' and my home-bred seedling, GSF-05A-11-01 (a contender for Best in Show and the ADS Rose Ribbon for Best Seedling). March 12, 2016 - My exhibits at the Georgia Daffodil Society Show near Atlanta fared pretty well. I had the first place Down Under Collection (consisting of 'Wild Women', 'Terminator', 'Coobar', 'Erlicheer' and 'Splatter'). My single stem entry of 'Wild Women', a wonderful trumpet daffodil from Tasmania, was a contender for Best in Show. My vase of three 'Hot Gossip' was also a blue ribbon winner. March 2, 2016 - I was a guest on Babbie Mason's talkshow, Babbie's House. Babbie and I paid tribute to the life and music of Andrae Crouch, gathering at the piano sharing stories and singing great Andrae songs such as "Soon and Very Soon," "The Blood Will Never Lose Its Power," "My Tribute" and "Let the Church Say Amen." Babbie's House is viewed nationally on the NRB network for DirecTV viewers as locally in the Atlanta area on WATC TV 57. December 17, 2015 - I was a guest on the 1 1/2-hour long variety show Atlanta Live at Atlanta's WATC TV 57. Hosted by Betty Cornett and Pastor Mark Haston, the show included a brief interview with me and four musical performances. I sang "You Are," "Jesus, What A Wonderful Child," "I Call Him Lord" and "Change a Life." October 27, 2015 - Gender and the Modern Sherlock Holmes: Essays on Film and Television Adaptations Since 2009 (Jefferson, North Carolina: McFarland and Company, Inc., Publishers, 2015), edited by Nadine Farghaly, was published. I contributed a chapter titled, "The Evolution of Sherlock Holmes: An Examination of a Timeless Figure Amid Changing Times." October 5, 2015 - H.O.P.E. Ministries of the Upstate had me come perform for a special graduation banquet at First Baptist Spartanburg. I sang my own songs, "Between the Lines" and "Holy Spirit, Will You Speak to Me?" as well as "One Day." September 14, 2015 - I appeared on Nite Line, a two-hour variety show at WGGS TV 16 (Greenville). My song selections were "There Is Power in the Blood," "Between the Lines" and "One Day." August 12, 2015 - Babbie Mason and I finished writing an exciting new song, "I Owe You Everything." June 29, 2015 - Grakan Tert published my Harper Lee article on its website. The piece was translated into Armenian by my friend, Elfik Zohrabyan. June 19, 2015 - My article, "American Novelist Set to Release Sequel to Pulitzer Prize Winner More Than Half Century Later," was published in Grakan Tert, the weekly literary newspaper of the Yerevan-based Writers' Union of Armenia. Elfik Zohrabyan, a prominent Armenian playwright, author and actor, translated the piece into Armenian and was responsible for getting the article published. April 10, 2015 - At the American Daffodil Society National Convention and Show in Williamsburg, Virginia, I had several first place winners, including 'Dena', a delightful pink-rimmed cultivar from Brian Duncan in Northern Ireland. 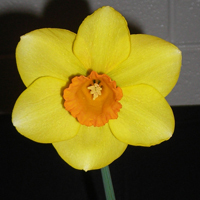 This daffodil was incorporated into my hybridizing program in 2015 and should prove to be an exciting parent. March 21, 2015 - On the same day as the Nasvhille show (for which I had entered flowers the evening before), I student judged and exhibited at the East Tennessee Daffodil Society Show, held in the Ellington Plant Sciences Building on the campus of the University of Tennessee in Knoxville. 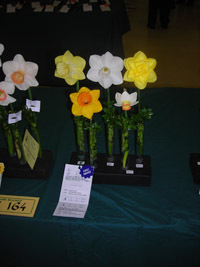 My winning 'Hot Gossip' single stem was awarded the Frank Galyon Award for the best yellow-red daffodil in the show. I also took a blue ribbon with a single stem of 'Intrigue'. However, I was most thrilled to win the standard seedling class with my own daffodil, GSF-06A-14-01 ('Stoke Charity' x 'Cool Shades'), which was awarded the coveted Rose Ribbon. March 28, 2015 - I received verification that, having completed all necessary requirements set forth by the American Daffodil Society, I am now an accredited judge. March 21, 2015 - From a handful of entries, I took blue ribbons, including an important award, at the Middle Tennessee Daffodil Society Show in Nashville. My vase of three 'Hot Gossip' won first place and was awarded the American Daffodil Society's White Ribbon for the best vase of three standard daffodils in the show. A vase of three 'Stoke Charity' earned me a blue ribbon, and I also had a winning collection of five large-cupped daffodils containing 'Hot Gossip', 'Florence Joy', 'Pimento', 'Cool Shades' and 'Sapnis'. March 20, 2015 - At Nashville's Cheekwood Botanical Garden and Museum of Art, I completed my final daffodil judging school, the American Daffodil Society's Judge's School III, hosted by the Middle Tennessee Daffodil Society. I will soon be certified as an ADS judge. March 14, 2015 - My four entries at the American Daffodil Society Southeast Regional Show (Georgia Daffodil Society) near Atlanta all took first place ribbons. My entries were a vase of three 'Hot Gossip', a vase of three 'Tanagra', a single stem 'Terminator' and a collection of five miniature cultivars or species, which included 'Mite', 'Little Beauty', Narcissus jonquilla subsp. henrequesii, 'Tête-à-Tête' and 'Tanagra'. November 21, 2014 - The WOAFM99 Radio Show, a syndicated radio show heard in India and Dubai and hosted by MTV Europe Music Awards nominee Oliver Sean, featured my country song, "Sunlight and Shadows." The song will be the title cut on my forthcoming EP. As a singer and songwriter whose music is generally gospel, I was pleased to receive airplay in a secular setting alongside other independent artists. To listen to the show (Season 5, Episode 3) online, visit www.woafm99.com. May 23, 2014 - Associated Press journalist Ricardo Alonso-Zaldivar interviewed me about my experiences with obtaining health insurance as a result of the implementation of the Affordable Care Act. The article, "Poll: Sign-Ups Rise But Little Love For Health Law," appeared on May 23 or 24 in most major American newspapers from coast to coast and via online news outlets such as NBCnews.com, ABCnews.com, NPR.org, Salon.com and FOXnews.com. March 28, 2014 - For the first time, I attended an American Daffodil Society National Covention and Show. The 2014 event was held at the Doubletree Hotel Little Rock. My eight entries included four first place winners. 'Coobar' beat fourteen other entries in a very competitive class of large-cupped all yellow daffodils. 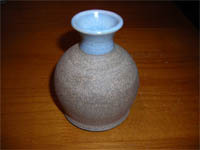 My vase of three 'Katrina Rea' was up for a special award, but did not win it. March 15, 2014 - Out of eight entries at the East Tennessee Daffodil Society Show at the University of Tennessee in Knoxville, I had five firsts, one second and one third. My winners included 'Mesa Verde', the innovative, all-green daffodil, and 'Bunclody', which was named Best Classic Single Stem and Best Classic Cultivar. Classics are daffodils that were registered between 1940 and 1969, too current to be historics, too outdated to be contemporary. January 8, 2014 - I was commissioned to write biographies on Mahalia Jackson and W.C. Handy for the forthcoming Music around the World: A Global Encyclopedia (Doctors Andrew R. Martin and Matthew Mihalka, eds. ), a multiple volume reference source to be published in 2016 by Goleta, California-based academic publisher, ABC-Clio. December 31, 2013 - My interview with my friend, Armenian author, actor and playwright Elfik Zohrabyan, was published by Asbarez Armenian News, a publication based in Los Angeles' Little Armenia which caters to the 500,000+ members of the Armenian diaspora living in the Western United States. December 12, 2013 - I appeared on two television shows at Atlanta's WATC TV 57. For a Babbie's House taping to air early in 2014, I sang a duet with my friend and songwriting partner Babbie Mason on "I'll See You at the House." I concluded the show by performing my recently completed song "Before the Next Tear Falls." Later in the day, I performed "Jesus, What a Wonderful Child" and "Change a Life" on the two-hour variety show, Atlanta Live. October 19, 2013 - At the American Daffodil Society's Fall Board Meeting in Tucson, my appointment as editor of The Daffodil Journal was approved by the Board. The June 2014 issue will mark my first as editor. September 2013 - My article, "Welcomed Surprises, Unexpected Visitors," was published by The Daffodil Journal, the magazine of the American Daffodil Society. In this article, I recounted the visit ADS judge Mike Berrigan and second generation New Zealand daffodil hybridist Graham Phillips paid to my garden in the spring of 2013. September 19, 2013 - The release of Encyclopedia of Arkansas Music (edited by Ali Welky and Mike Keckhaver) was celebrated in Little Rock. For this book, I contributed entries on gospel/contemporary Christian music, Smokie Norful, Roberta Martin, Tracy Lawrence, E.M. Bartlett and Collin Raye. July 31, 2013 - Once again, I was the musical guest on WGGS TV 16's Nite Line. The host, Reverend Dan Lynn, enthusiastically welcomed me and the other guests, Paul Burns (author of Prayer Encounters and pastor of Priest Lake Presbyterian Church near Nashville), Doug Jones (pastor of Happy Trails Cowboy Church, Pelzer, South Carolina) and Nikole Morgan (author of the novel, Picking Up His Pieces). May 2, 2013 - My good friend, Calvin Newton, and I were guests on WATC TV 57's show, Atlanta Live. Both Calvin and I performed some solos, and then duetted on Dallas Holm's "You And Me, Jesus." Calvin, a Gaither Homecoming artist, has sung with the Blackwood Brothers, Oak Ridge Quartet and the Sons of Song. His soaring tenor has not diminshed with age! It was an honor to sing with my friend. April 16, 2013 - The Encyclopedia of Arkansas History & Culture published my bio of gospel recording artist Smokie Norful. April 12, 2013 - A last-minute decision to ship blooms to the American Daffodil Society National Convention and Show in Columbus, Ohio proved fruitful. My vase of three stems entry containing Duncan seedling 3411, which had been acquired from renowned daffodil hybridist Brian Duncan in Northern Ireland in 2012, placed second in a competitve class of 18 or so entries! Special thanks to Michael Berrigan for kindly entering my flowers! March 23, 2013 - While two of my flowers, 'Bright Sequins' and 'Katrina Rea', were considered for Best in Show, but didn't win it at the Middle Tennessee Daffodil Society Show in Nashville, I did well, nonetheless. Four entries took two firsts and two seconds. Having completed the American Daffodil Society's Judging School I the day before, I was also privileged to student judge the show. My selection for Best in Show, Anne Cain's 'Marieke', wound up being the Gold Ribbon winner! 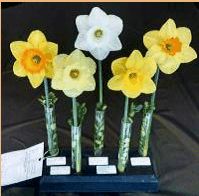 March 16, 2013 - At the American Daffodil Society Southeast Regional Show (East Tennessee) near Knoxville, I had both the standard Best in Show winner with 'Terminator' and the Best Miniature in Show with Narcissus assoanus. March 1, 2013 - My comments were sought again by BREATHEcast.com, this time for Andrea Williams' article, "Kandi Burruss and Marvin Sapp's 'Stay Prayed Up' Just the Latest in a Long Line of Controversial Collaborations." Ms. Burruss responded by retweeting my post on Twitter to her more than 900,000 followers. February 21, 2013 - My overview of gospel music was published by The Encyclopedia of Arkansas History & Culture. February 20, 2013 - BREATHEcast.com included comments from me regarding gospel music's stylistic diversity in Andrea Williams' article, "Christian Music's Sub-Genres Help Spread the Gospel Far and Wide." January 28, 2013 - I was privileged to be a musical guest once again on WGGS Tv 16's evening variety show, Nite Line. Wade Sheriff accompanied me on the piano on "I'm Bound For That City" and "My God Is Real." I also sang my own compositions, "Between the Lines," "You Are" and "Here Am I, Send Me," before returning to the stage with Wade (vocals/piano) and our friend, tenor singer Stephen Hudson (of Tugalo Holler), to sing "A Better Place To Go." Co-host Danté Thompson and I discussed Southern Edition, my contributions to encyclopedias and our love for the American South. September 4, 2012 - The Encyclopedia of Arkansas History & Culture commissioned me to write its overview for gospel music as well as a biography of contemporary gospel performer Smokie Norful. In 2013, the EOA will be publishing in book form its music section for which I have contributed several entries, including the biographies of black gospel singer Roberta Martin, southern gospel songwriter E.M. Bartlett and country singers Collin Raye and Tracy Lawrence. April 19, 2012 - I was a musical guest on the television show, Atlanta Live. My good friend, pianist George Allgood, accompanied me on all my selections, which included "I Am Your Servant" and "I'll See You At The House," a song I wrote with Babbie Mason. As I always do, I had a great time at WATC TV 57, and the host, Betty Cornett, did a great job shedding light on the plight of those who are victims of human trafficking. April 13 - 14, 2012 - Along with hit songwriter, Donna Douglas, I was a guest writer at Babbie Mason's Inner Circle for Songwriters at her home in Bowdon, Georgia. It was a wonderful time of worship, fellowship and learning. I shared from some of my own personal songwriting experiences and tried to offer encouragement to the aspiring writers who cared enough about their craft to attend. It was a great weekend. 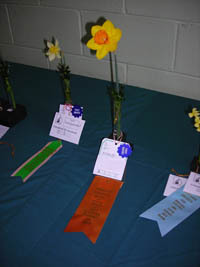 March 24, 2012 - At the East Tennessee Daffodil Society's show in Maryville (just outside Knoxville), all of my entries received first place ribbons, including HK6-08, a sibling to the head-turning green-cupped daffodil I had shown in Atlanta the week before! March 17, 2012 - I had a successful day at the American Daffodil Society's Southeastern Regional Show in Roswell, Georgia (suburban Atlanta). Several of my entries faced formidable competition, but all of my flowers took first place ribbons except one, which took a third. Of particular interest to many was my green-cupped seedling, HK2-08, a product of Dr. Harold Kooopowitz's breeding program. November 14, 2011 - I was privileged to speak to the Walhalla Rotary Club in my hometown about how mentors have impacted me and why we should invest in others. 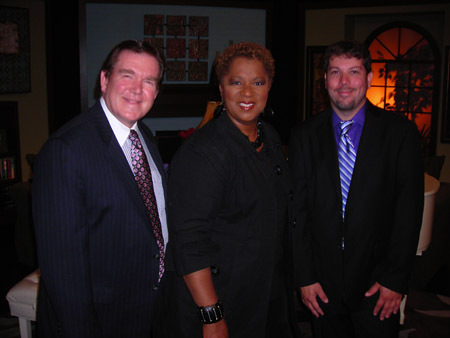 September 28, 2011 - I was a guest on Atlanta Live, a two-hour long variety program at WATC TV 57 in Atlanta. The episode was hosted by Rick Goins. I sang six songs, including two self-penned numbers. George Allgood did an excellent job accompanying me on three songs. 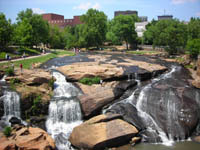 Atlanta Live is seen throughout the metro Atlanta area as well as nationally on the NRB network. July 13, 2011 - I appeared on Nite Line, the live prime time variety show of WGGS TV 16 in Greenville, South Carolina. I was interviewed by hosts Rev. Bill and Evangelist Ann Critser, and performed six songs. My good friend, George Allgood, accompanied me on several selections. May 24, 2011 - The African American National Biography published my biographies of blues legend Johnny Shines, Charleston blacksmith/metal artist Philip Simmons and professional football player/recording executive J. Mayo "Ink" Williams. The AANB is published by Harvard University's W.E.B. DuBois Institute and Oxford University Press, and is co-edited by Henry Louis Gates Jr. and Evelyn Brooks Higginbotham. March 26, 2011 - At the American Daffodil Society Southeastern Regional Show in Knoxville on the beautiful University of Tennessee campus, my four entries won a first, two seconds and an Honorable Mention. I was very excited that my first place-winning 'Coobar' was a contender for Best in Show. Though it did not win the top award, I was thrilled to have two consecutive shows in which one of my daffodils was under consideration for Best Bloom. March 19, 2011 - Among my fourteen entries at the Georgia Daffodil Society Show in Roswell (suburban Atlanta), I won three firsts, four seconds and a third. My winner, 'Hot Gossip', was also awarded the Gold Ribbon for Best in Show! For the Encyclopedia of Arkansas History & Culture, I wrote biographies of country singers Collin Raye and Tracy Lawrence and gospel legends Roberta Martin and E. M. Bartlett as well as the Little Rock Central High School National Historic Site entry. 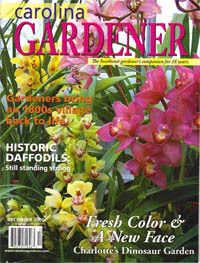 Devoted to historic daffodil cultivars in the South, my article "A Heritage of Daffodils," was published in the December 2005 issue of Carolina Gardener, a publication I regard as the region's finest gardening magazine. Chronicling the show and breeding career of the famous Belgian draft stallion Nesbitt's Misty River Ben (above), my feature article "Remembering Nesbitt's Misty River Ben" appeared in the Winter 2002-03 issue of The Draft Horse Journal. 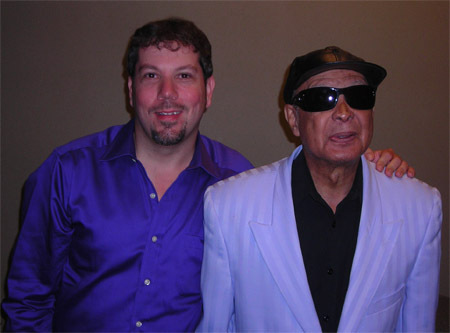 When my buddy, Rod Lyda, and I visited backstage with the Blind Boys before their March 19, 2010 show at the Smoky Mountain Peforming Arts Center in Franklin, North Carolina, the group's legendary patriarch, Jimmy Carter, had not arrived at the venue. As the Fairfield Four made their way to the stage, Rod and I returned to our seats and enjoyed the Fairfields. Following an intermission, the Blind Boys were led out on stage. Jimmy praised the Fairfield Four for being pioneers in gospel music. He then thanked Franklin for showing so much love to the Blind Boys during the short time they'd been in town. And, before the group even sang the first note, he said, "I understand my good friend, Greg Freeman, is here. Boy, come see me before you leave tonight!" Jimmy and I had become good friends, and his recognition of me from the platform was surprising, but very special. I think he's one of the coolest guys (and funniest characters) in gospel music. 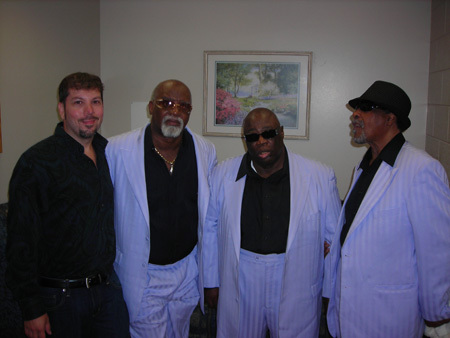 On May 7, 2010, I had the privilege of spending time with the Blind Boys again. I hung out with them at the Doubletree Biltmore Hotel in Asheville prior to their performance at the Lake Eden Arts Festival in picturesque Black Mountain, North Carolina. The guys invited me to ride with them to the venue, and I spent my entire evening enjoying a behind-the-scenes Blind Boys experience. These guys are a lot of fun. You should have heard some of the hilarious things they told on group member, Bishop Billy Bowers! In spite of Billy accusing me of throwing him in a chair (funny story! ), we became friends and talked from time to time on the phone....especially after health issues forced him off the road. Sadly, Billy passed away on July 2, 2013. On September 22, 2009 my friend, Pastor Rod Lyda, and I drove down to Augusta for the Blind Boys of Alabama concert at Augusta State University's Grover C. Maxwell Performing Arts Theatre. Blind Boys drummer, vocalist and road manager Ricky McKinnie is a friend of mine, and Rod and I were able to enjoy some time backstage interacting with Ricky and the other members, including the group's venerable patriarch, Jimmy Carter! The Blind Boys of Alabama are a multiple Grammy- and Dove Award-winning act that has taken gospel music into the mainstream arena. They are particularly hot in Europe. In February 2009, the Recording Academy presented the group with the prestigious Lifetime Achievement Award. The morning after the Grammys, I phoned Ricky and caught him just as he was checking out of his hotel in Los Angeles. I apologized for calling at an inconvenient time and quickly congratulated the guys, but Ricky replied, "It's great to have fans, but it's better to have friends." Needless to say, these guys have plenty of both. An enthusiastic collector (with discerning taste, but a very limited budget! ), I own an eclectic mix of art and antiques. My collection includes oil paintings by New Orleanians Miriam Ragan, Sean Childs and Phil Thomasson (who, in January 1995, was carjacked in New Orleans' Central Business District and senselessly murdered); several watercolor figures by British painter Sandra Fletcher; a figure sketch by Isabel E. Hazz (mother of Marilyn French, noted feminist and author of The Women's Room), completed in the late 1920s when she studied at Brooklyn's Pratt Institute; The Naked Ape, a bronze sculpture by Jim Hamilton (?-2000); a commissioned sculpture for the United Jewish Appeal 1981 depicting Jacob wrestling the angel by Bruno Lucchesi (b. 1926); Bridge Bewdley, Worcestershire and Raglan Castle Entrance, oil landscape paintings by British artist George Willis-Pryce (1866-1949); an art déco bronze medal by French sculptor Édouard Fraisse (1880-1945); two watercolors of Venice by Countess Agness Mio da Minotto (1862-1927); a watercolor of the Taj Mahal by Colonel Robert Charles Goff (1837-1922);and pottery by Charleston ceramicist Kris Neal, Mobile potter Charles Smith (b. 1949) and Georgia folk potters W.J. Gordy (1910-1993), Wayne Hewell (b. 1955), Grace Nell Hewell (b. 1933) and Nathaniel Hewell (b. 1976). Here I am with my good friends, Babbie Mason and Dr. Charles Novell, on the set of Babbie's House on May 5, 2010. 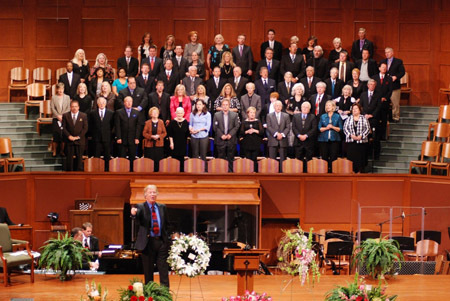 I sang my song, "I Am Your Servant," and Babbie joined me on Mylon LeFevre's "Without Him" in memory of our friend, gospel legend Eva Mae LeFevre. Charles Novell accompanied us on the piano. Now residing in the Atlanta area, Charles has enjoyed a long, distinguished career in gospel music and is best-known for his Novell Music School in the Cincinatti area. Gospel music pioneer and legend Eva Mae LeFevre (1917-2009) was truly one of a kind, and I count it a privilege to have called her my friend for a number of years. A great encouragement to me, Eva Mae praised my singing and songwriting and told me in 2004 that I have a "very bright future." She will be missed by me and so many others! January 16, 2019, My interview with Babbie Mason for Babbie's House on the Radio first aired on BabbieMasonRadio.com. March 2014, I was introduced to the American Daffodil Society as the editor of its official magazine, The Daffodil Journal, in an article titled "Greg Freeman Will Become 8th Editor of the ADS Journal." March 1, 2013, Nashville-based BREATHEcast.com sought my comments concerning the controversial collaboration between gospel sensation Marvin Sapp and Kandi Burruss, an R&B singer and star of the reality television show, The Real Housewives of Atlanta. My post on Twitter regarding Andrea Williams' piece, "Kandi Burruss and Marvin Sapp's 'Stay Prayed Up' Just the Latest in a Line of Controversial Collaborations," prompted Burruss to retweet my comment to her more than 900,000 followers. February 20, 2013, BREATHEcast.com included comments from me regarding gospel music's stylistic diversity in Andrea Williams' article, "Christian Music's Sub-Genres Help Spread the Gospel Far and Wide." 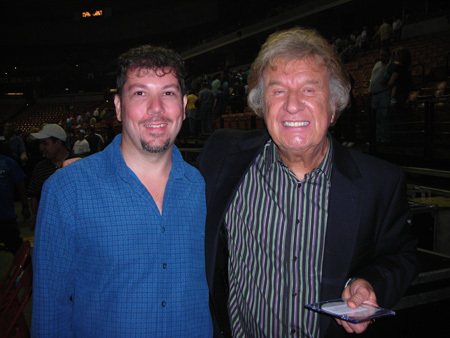 Here I am backstage with my friend, Bill Gaither, at the Greenville Gaither Homecoming Concert (Lovin' Life tour) on April 24, 2009. While talking with him literally minutes before his appearance on stage, Bill pleasantly surprised me by telling some people standing nearby that I'm a good writer. What a great compliment from a great man! This photograph was kindly taken by Bill's road manager, Deana Warren, who went out of her way for me. The British Empire: A Historical Encyclopedia (Dr. Mark Doyle, ed.). Goleta, California: ABC CLIO Greenwood, 2018. Contained Greg Freeman's entry on the British Music Hall. Race in American Film: Voices and Visions That Shaped a Nation (Dr. Daniel Bernardi and Michael Green, eds.). Goleta, California: ABC CLIO Greenwood, 2017. Contained Greg Freeman's entries on: St. Louis Blues; Giant; Driving Miss Daisy; The Color Purple; Elia Kazan; and Tyler Perry. Gender and the Modern Sherlock Holmes: Essays of Film and Television Adaptations Since 2009 (Nadine Farghaly, ed.). Jefferson, North Carolina: McFarland and Company, Inc., Publishers, 2015. Contained Greg Freeman's opening essay: "The Evolution of Sherlock Holmes: An Examination of a Timeless Figure Amid Changing Times." 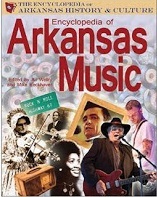 Encyclopedia of Arkansas Music (Ali Welky and Mike Keckhaver, eds.). Little Rock: Butler Center Books, 2013. Contained Greg Freeman-penned entries (see below): "Gospel Music," "Smokie Norful (1975-)," "E. M. Bartlett (1885-1941)," "Collin Raye (1960-)," "Roberta Evelyn Martin (1907-1969)" and "Tracy Lee Lawrence (1968-)." *Included in the book, Encyclopedia of Arkansas Music (Ali Welky and Mike Keckhaver, eds.). Released September 19, 2013 by Little Rock-based Butler Center Books. 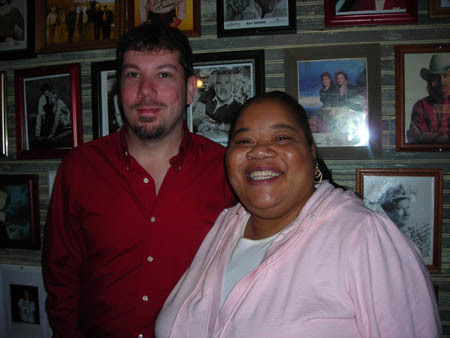 In this photograph, I am pictured with the Loveless Café's celebrity "Biscuit Lady," Carol Fay Ellison, who appeared on numerous television shows including the Martha Stewart Show, Ellen DeGeneres Show and NBC's Today and Late Night with Conan O'Brien. Carol Fay died prematurely at the age of 48 on April 5, 2010. The Loveless Café was the subject of a November 2007 Southern Edition article, From Their Kitchen to Yours: Recipes from the Loveless Cafe, Nashville. On March 19, 2011, my winning bloom 'Hot Gossip' was awarded the Gold Ribbon for Best in Show at the Georgia Daffodil Society Show near Atlanta! One of my most prized daffodils, 'Crackington' is a magnificent double of British origin. It has been incorporated into my hybridizing efforts. In 2009, one of my 'Crackington' blooms was a contender for "Best Bloom" at the Georgia Daffodil Show in Atlanta. In 2012, my winning English- or Irish-bred Collection (pictured below) at the American Daffodil Society Southeastern Regional Show (Roswell, Georgia) contained a 'Crackington' bloom, and a 'Crackington' from my garden won a competitive class at the Eastern Tennessee Daffodil Society Show the following week. 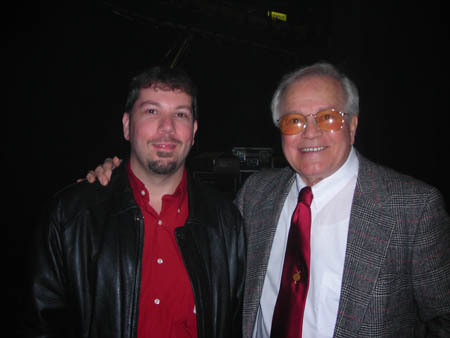 Backstage at the Gaither Homecoming Concert (Give It Away tour) in Nashville on February 8, 2008, I met Calvin Newton (b. 1929), a notable southern gospel vocalist and real-life prodigal son. Newton, the subject of Dr. Russ Cheatham's book, Bad Boy of Gospel Music: The Calvin Newton Story (Jackson: University Press of Mississippi, 2003), once sang with the Oak Ridge Quartet (later to crossover into country and pop as the Oak Ridge Boys), the Blackwood Brothers and the Sons of Song (an innovative group comprising Newton, Don Butler and Bob Robinson). He also served time in federal prison, was once a formidable boxer (knocking out an opponent in less than 30 seconds!) and has quite a testimony to share. This photograph, by the way, was taken backstage by Joyce Martin Sanders of the Dove Award-winning trio, The Martins! On February 7, 2008, I performed two of my own songs, "You Are" and "Between the Lines," on Babbie Mason's television talkshow, Babbie's House, in Atlanta. Introducing me to her television audience, Babbie said, "Today's guest is a fine singer, a beautiful songwriter with a heart that is so tender toward the things of God, and it all comes out in his songs." Babbie is a tremendous artist and songwriter, and I was stunned by her remark! The following day, I ventured to Nashville where I attended the Gaither Homecoming concert at downtown's Sommet Center with a VIP pass courtesy of Bill Gaither. A daffodil blooming in early December? Absolutely! This is one of several seedlings I have from Orchid and Clivia authority and noted daffodil hybridizer, Dr. Harold Koopowitz. 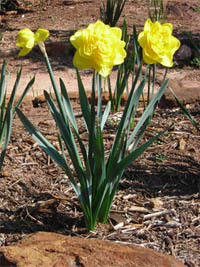 His daffodil hybrids include 'Itsy Bitsy Splitsy' and 'Sammy Girl', the first pink-blooming tazetta-type daffodil. 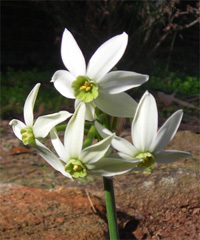 Utilizing Narcissus viridiflorus, the green-flowering, fall-blooming daffodil species from Morocco, Gibraltar and southern Spain, as well as its descendants, Dr. Koopowitz has produced an array of green/green-cupped fall- and winter-blooming daffodils that have garnered international attention. Pollen from the above flower was frozen in December 2009 and put to good use in the spring of 2010. The resulting seedling flowered for the first time in 2017 and has proven to be a formidable show flower! The above daffodil is 'Terminator', my Best in Show-winning entry at the 2013 American Daffodil Society Southeast Regional Show (East Tennesse Daffodil Society) near Knoxville. 'Terminator' is from the hybridizing program of David Jackson in Tasmania, Australia. 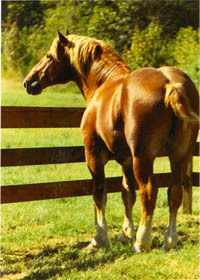 Pictured as a weanling in 1996, Willowhurst Bentley was a son of my first Belgian mare, Clifton's Susie Q. 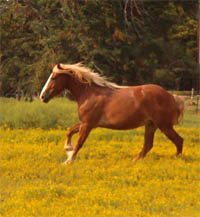 This colt was sired by Remlap Coleddie, an outstanding stallion belonging to Robert and Elizabeth Cowden at the time. April 1, 2019, Babbie's House, nationally-viewed talk show, WATC TV 57, Atlanta; Host: Babbie Mason. Duet Performance: "The House That Love Built." Solo Performance and Interview Segment. Songs: "If It Keeps Gettin' Better" and "Nothing Can Separate Me." January 22, 2019, Atlanta Live, one and a half-hour variety show, WATC TV 57, Atlanta; Hosts: Dr. Erol and Sandra Onal. Solo Performances and Brief Interview Segment. Songs: "If It Keeps Gettin' Better," "When He Calls I'll Fly Away," "Lord, You've Been Good to Me" and "Nothing Can Separate Me." November 16, 2016, Babbie's House, nationally-viewed talk show, WATC TV 57, Atlanta; Host: Babbie Mason. Solo Performance and Interview Segment. Songs: "Sunlight and Shadows" and "God Be With You." March 2, 2016, Babbie's House, nationally-viewed talk show, WATC TV 57, Atlanta; Host: Babbie Mason; Duet performances and informal conversation paying tribute to the life and music of Andrae Crouch. Songs included: "Soon and Very Soon," "The Blood Will Never Lose Its Power," "My Tribute," "Jesus Is the Answer." December 17, 2015, Atlanta Live, one and a half hour variety show, WATC TV 57, Atlanta; Hosts: Betty Cornett and Pastor Mark Haston; Solo Performances and Interview Segment. Songs: "You Are," "Jesus, What a Wonderful Child," "I Call Him Lord" and "Change a Life." September 14, 2015, Nite Line, live two-hour variety show, WGGS TV 16, Greenville (SC); Hosts: Dante Thompson and Margaret Rainey; Performance. Songs: "There's Power in the Blood," "Between the Lines," "One Day" (solo). December 12, 2013, Atlanta Live, live two-hour variety show, WATC TV 57, Atlanta; Host: Bishop John Wesley Pace II; Solo Performances and Interview Segment. Songs: "Jesus, What a Wonderful Child" and "Change a Life." December 12, 2013, Babbie's House, nationally-viewed talk show, WATC TV 57, Atlanta; Host: Babbie Mason; Interview and Performance. Songs: "I'll See You at the House" (duet with Babbie Mason) and "Before the Next Tear Falls" (solo). July 31, 2013, Nite Line, live two-hour variety show, WGGS TV 16, Greenville (SC); Host: Reverend Dan Lynn; Solo Performances. Songs: "There's Power in the Blood," When He Calls I'll Fly Away," "Between the Lines," "You Are," "Lord, Feed Your Children," "Good Enough for Me" and "Ready to Live." May 2, 2013, Atlanta Live, live two-hour variety show, WATC TV 57, Atlanta; Host: Pat Mathis and Betty Cornett; Solo Performances. Duet with Calvin Newton and Interview Segment. Songs: "When He Calls I'll Fly Away," "Here Am I, Send Me" and "You and Me, Jesus" (duet with Calvin Newton). January 28, 2013, Nite Line, live two-hour variety show, WGGS TV 16, Greenville (SC); Hosts: Dante Thompson and Margaret Rainey; Performances and Interview Segment. Songs: "I'm Bound For That City," "Between The Lines," "You Are," "My God Is Real," "A Better Place To Go" (with Wade Sheriff and Stephen Hudson) and "Here Am I, Send Me." Accompanied by pianist Wade Sheriff on some selections. April 19, 2012, Atlanta Live, live two-hour variety show, WATC TV 57, Atlanta; Host: Betty Cornett; Solo Performances and Interview Segment. Songs: "There's A God Somewhere," "I Am Your Servant," "I'll See You At The House" and "Bridge Over Troubled Waters." Accompanied by pianist George Allgood on all selections. September 28, 2011, Atlanta Live, live two-hour variety show, WATC TV 57, Atlanta; Host: Rick Goins; Interview segments and Solo Performance. Songs: "When He Calls I'll Fly Away," "There's A God Somewhere," "You Are," "God Be With You," "I Am Your Servant" and "Climbing Higher and Higher." Accompanied by pianist George Allgood on some selections. July 13, 2011, Nite Line, live prime time variety show, WGGS TV 16, Greenville (SC); Hosts: Rev. Bill and Evangelist Ann Critser; Interview and Solo Performance. Songs: "When He Calls I'll Fly Away," "You Are," "There's A God Somewhere," "One Day," "I Am Your Servant" and "There Is A Fountain." Accompanied by pianist George Allgood on some selections. May 5, 2010, Babbie's House, nationally-viewed talk show, WATC TV 57, Atlanta; Host: Babbie Mason; Interview and Performance. Songs: "I Am Your Servant" (solo) and "Without Him" (duet with Babbie Mason, accompanied by pianist Dr. Charles Novell). February 7, 2008, Babbie's House, nationally-viewed talk show, WATC TV 57, Atlanta; Host: Babbie Mason; Interview and Performance. Songs: "You Are" and "Between the Lines." March 19, 2018, Gwinnett County Master Gardeners Association, Lawrenceville, Georgia; Title of Presentation: "A Century of Daffodil Hybridizing: Using Advancements in Color, Form and Size to Advantage"
November 14, 2011, Walhalla Rotary Club, Walhalla, South Carolina; Spoke about mentoring. October 10, 2010, Mauldin Garden Club, Mauldin, South Carolina (suburban Greenville); Presented "An Introduction to the World of Daffodils." April 13-14, 2012, Babbie Mason's Inner Circle for Songwriters, Bowdon, Georgia; Critiqued songs, shared personal songwriting experiences and offered songwriting tips. 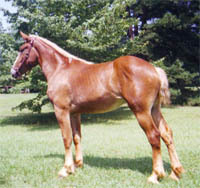 Cowden's Coleddie Sasha, a Remlap Coleddie daughter, was acquired as a weanling in 2001. Bred by Robert & Elizabeth Cowden, she is a paternal sister to Willowhurst Bentley. Willowhurst Bentley, pictured at three, was leased and eventually sold to Mrs. Paul Knepp & Sons, Montgomery, Indiana. 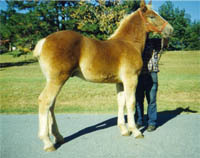 In Indiana, he sired several crops of foals before being auctioned to a buyer from Mississippi. Quite a contrast to the awkward teenager in the previous photo, this picture shows that Cowden's Coleddie Sasha has matured into a beautiful mare. Impeccably bred, she was a maternal granddaughter of the champion mare Constance Mardy. She comes from a significant female line that produced winners and champions like Remlap Constance Edie Johne, Remlap Constance Sarah and Oak Grove Jane. February 2005 (Black History Month), Workin' On a Building: Black Gospel's Journey from the Cotton Field to Modern Mainstream Success (comprised of items from Greg Freeman's soul gospel collection), Oconee County Public Library, Walhalla, South Carolina. 1 - Russ Taff, Under Their Influence (Grammy Award winner), compact disc, Myrrh Records, 1991. 2- Rex Nelon Singers, One Step Closer, 33 rpm record, Canaan Records, 1981. 3 - Johnny Cash, A Believer Sings the Truth, double 33 rpm record, Cachet Records, 1979. 4 - Bill Gaither & T. D. Jakes (hosts), Build A Bridge, long form video, Spring House Music Group, 2004. 5 - The Blind Boys of Alabama, Spirit of the Century (Grammy Award winner), compact disc, Real World Records, 2001. 6 - Reverend Cleavant Derricks and Family, Singing His Own "Just a Little Talk with Jesus," 33 rpm record, Canaan Records, 1975. 7 - Bill & Gloria Gaither and Their Homecoming Friends, Memphis Homecoming, long form video, Spring House Music Group, 2000. 8 - Clay Crosse, Time to Believe, compact disc, Reunion Records, 1995. 9 - Thomas A. Dorsey, Precious Lord: Recordings of the Great Gospel Songs of Thomas A. Dorsey, compact disc, Columbia/Legacy, 1994. 10 - Gaither Vocal Band, Peace of the Rock, compact disc, Star Song Communications, 1993. 11 - Tennessee Ernie Ford, "Rock City Boogie" (with the Dinning Sisters)/"Streamlined Cannon Ball," 78 rpm record, Capitol Records, 1951. 12 - Marion Williams, "Standing Here Wondering Which Way to Go"/"The Great Speckled Bird," 45 rpm record, Atlantic Records, 1971. 1 - Let Us Now Praise Famous Men (Nonfiction), James Agee and Walker Evans, Boston: Houghton Mifflin Company, 1941. 2 - Their Eyes Were Watching God (Novel), Zora Neale Hurston, Philadelphia: J. B. Lippincott & Company, 1937. 3 - Tobacco Road (Novel), Erskine Caldwell, New York: Charles Scribner's Sons, 1932. 4 - God's Little Acre (Novel), Erskine Caldwell, New York: Viking Press, 1933. 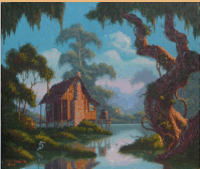 5 - Art in the American South: Works from the Ogden Collection (Nonfiction), Randolph Delehanty, Baton Rouge: Louisiana State University Press, 1996. 6 - The Coal Tattoo (Novel), Silas House, Chapel Hill, North Carolina: Algonquin Books of Chapel Hill, 2004. 1 - Mahalia: A Gospel Musical. My friend, Sherry Volrath, surprised me for my birthday in 2005 with tickets to this play at the Theatre in the Square in Marietta, Georgia. Starring Bernardine Mitchell (Mahalia Jackson), S. Renee Clark and J. Michael, the Tom Stolz play was directed by Carol Mitchell-leon. On July 16, 2005, Sherry and I attended the play, and it proved to be one of the most soul-stirring events I've ever witnessed. I must have sung "How I Got Over" and "Move On Up a Little Higher" for days thereafter! On December 31, 1994, my parents and I attended our first Gaither show. Drawing over 24,000 fans into the now-razed Charlotte Coliseum, the televised event was the most dynamic gospel concert I had seen. From Conrad Cook & The Calvary Echoes' "Moses, Take Your Shoes Off" to the big finale with the Gaither Vocal Band and all of the other artists on stage ringing in the new year with celebratory fireworks, I was in awe. Little did I know that Bill Gaither and I would some day know each other or that I would end up performing and writing with Babbie Mason. My buddy, Rod Lyda, and I had been to see my friends, the Blind Boys of Alabama, on two previous occasions, enjoying backstage visits and even receiving an acknowledgement from the stage in Franklin, North Carolina. When the guys invited me to be their guest on May 7, 2010 at the Lake Eden Arts Festival near Asheville, I jumped at the chance. I was able to spend time with them at their hotel, enjoy dessert with Ricky McKinnie in the hotel's TGIFriday's and ride to and from the gig with the group. Jimmy Carter and I discussed our favorite gospel and country artists and even sang a line or two of Dottie Rambo's "I've Never Been This Homesick Before." All of their concerts have been memorable, but I'll always cherish this behind-the-scenes experience. And, no matter what Bishop Billy Bowers tells you, I didn't throw him in a chair! 1 - A Streetcar Named Desire (1951), starring Vivien Leigh and Marlon Brando, adapted to film from Tennessee Williams' 1948 Pulitzer Prize-winning play. 2 - Cat on a Hot Tin Roof (1958), starring Elizabeth Taylor, Paul Newman and Burl Ives, adapted to film from Tennessee Williams' 1955 Pulitzer Prize-winning play. 3 - Old Man (1997), starring Jeanne Tripplehorn, Arliss Howard and Leo Burmester, adapted to film from a short story contained in William Faulkner's If I Forget Thee, Jerusalem (1939). 4 - Sweet Bird of Youth (1962), starring Paul Newman and Geraldine Page, adapted to film from Tennessee Williams' 1959 play. 5 - Driving Miss Daisy (1989), an Academy Award-winning film starring Jessica Tandy, Morgan Freeman and Dan Ackroyd, adapted to film from Alfred Uhry's 1988 Pulitzer Prize-winning play. 6 - O Brother, Where Art Thou? (2000), starring George Clooney, John Turturro, Tim Blake Nelson, John Goodman, Holly Hunter and Charles Durning, based loosely on Homer's Odyssey.